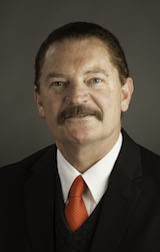 Dr. Dan Eller (Ed.D. University of California, Santa Barbara, 2010) is an Associate Professor Emeritus of Public Relations in the Journalism Department at California Polytechnic State University, San Luis Obispo. Dan has twenty-five years of industry experience in Public Relations in the public sector with the State of California, authored and co-authored three juried journal articles, one book chapter, and presented eleven juried research papers at academic conferences. Academy of Leisure Studies for the 2014 Teaching Institute, Pacific Grove, California. Using Values Driven Public Relations to Achieve Your Goals. Learning activity submitted to the Academy of Leisure Studies for the 2014 Teaching Institute, Pacific Grove, California.